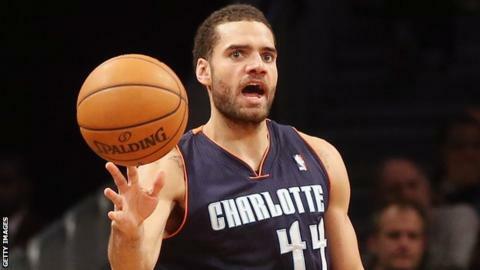 Charlotte Hornets forward Jeffery Taylor has been suspended for 24 games without pay after pleading guilty to domestic assault. Taylor was seen shoving his girlfriend into a wall, and hitting her on the arm, according to a police report. The 25-year-old has already missed 11 games from the start of the season but been paid, so will continue to have his salary stopped when his ban is over. NBA commissioner Adam Silver said such conduct "caused damage to the NBA".